Waterfall Cards | I Played With Paper Today! 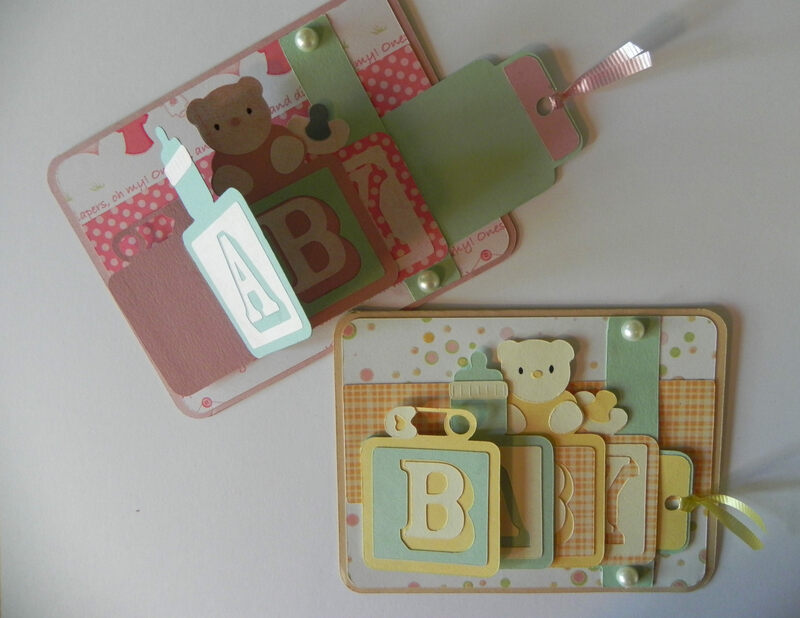 The baby cards shown above were made using svg files from the “Waterfall Cards SVG Kit” from SVGCuts and my Silhouette electronic die cutting machine. The problem with posting things so long after they were made is that it’s hard to remember the actual papers and supplies that were used! The good news is that you can use any paper for these projects, and they’d still be adorable! I created this next one as a thank you note to send for my triplets’ birthday a few years back. For this one, I used one of the files from the same “Waterfall Card SVG Kit” (just to create the basic card base) along with the “Steve the Monkey” file from the “free designs” collection at SVGCuts. I changed the waterfall portion to have two sections instead of four, and I adapted his head so his mouth would open when the ribbon was pulled, revealing the sentiment. 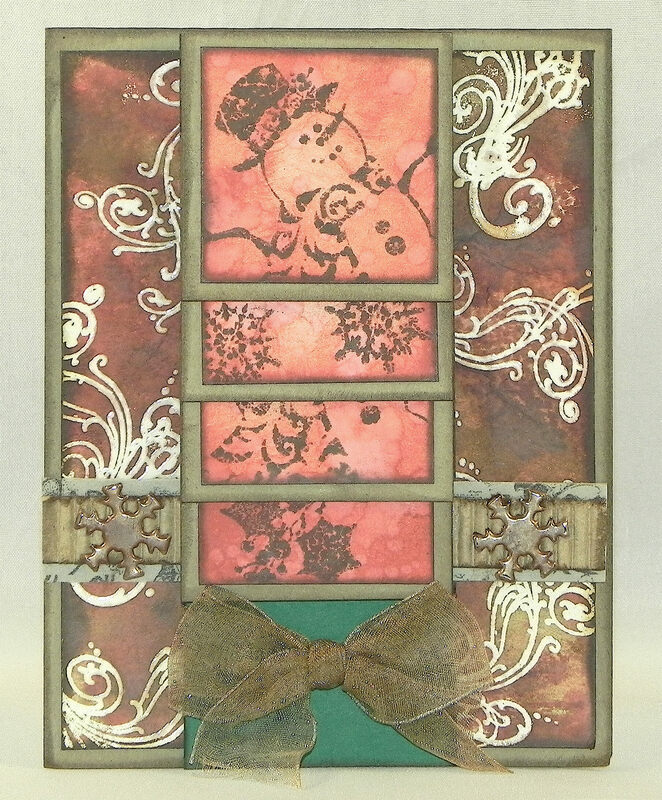 This final sample was a card I made (and taught) for one of the Holiday Card Classes offered at Michaels in 2013. This class was called “Vintage Holiday Card Tricks Class” and featured distressing techniques, heat embossing, and using Sizzix dies with the Big Kick. We created this waterfall card along with two others that you can see HERE. I did not design these cards; the lesson plans were provided. All your water fall cards are so gorgeous and wonderful. I am always amazed at the beautiful things you create. 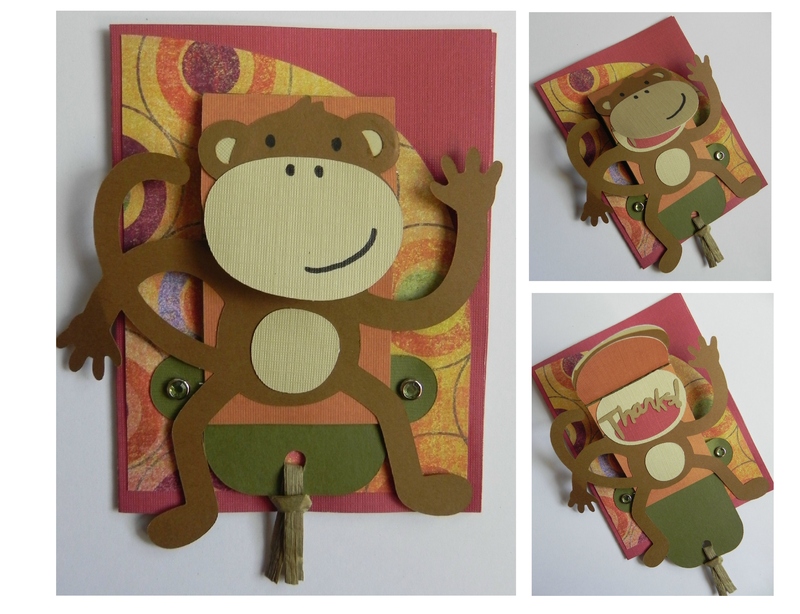 Love that baby card and the monkey is tooo cute.